What is SEO? How do you go about getting your site found on a search engine? Have you ever wondered how does one website get ranked or listed above another? The best way to describe the benefits of SEO are mainly that you can be found on search engines without having to continuously pay. Paid ads have no trailing benefit to your website. You pay to be ranked and when you stop, you disappear. SEO has lasting benefits. It is one of the most cost effective long term digital marketing strategies. Doing well from an SEO perspective means ranking on the first page for various keywords related to your products or services. (simple right?) There are many factors and reasons why websites rank high and get good positions. Some fairly easy, and some time consuming and difficult. There are two important ways that help optimize your website for search engines; on page and off-page SEO. On page SEO is fairly straightforward. Your website must be structured correctly using sound web design techniques (coding) and have rich, original content, utilizing specific keywords that potential clients use in searching for your product or service. However…What you think people might use and what they actually use can vary. 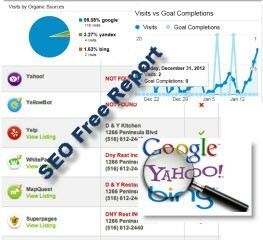 Off site SEO is a more time consuming and complicated task. It involves a number of ways in which other sites like (blogging or article websites) help lead potential clients to find yours. It could also be via social channels or other website back linking to your website. At XO Digital Marketing we believe SEO is one of the cornerstones of a good digital marketing strategy for any business. It also happens to be one of the most cost effective over time. We will even explain how you can assist in promoting your business on the web in an SEO way. We have packages that start as low as $299/month!